You can't have a successful console launch without at least a couple of great launch titles. While the 360 had the good fortune of launching with several excellent games to choose from, there was one in particular that simply blew past the others, Project Gotham Racing 3. Today, most people would probably point to Forza Motorsport as the most iconic racing experience on Xbox, but it wasn't so long ago that Project Gotham Racing would have just as readily sprung to mind. What made PGR 3 so remarkable was that developer Bizarre Creations had taken all the advancements of the fantastic second installment, most notably the exceptional Xbox Live implementation, and further polished the experience to a brilliant shine. They took full advantage of the powerful new 360 hardware to create one of the best looking racing games available at the time. Furthermore, they were one of the first studios to implement an ultra-realistic and (most-importantly) easily-playable, fully-modeled cockpit racing view in a console game. All of these elements combined to make Project Gotham Racing 3 an unparalleled racing experience that you could only find on the Xbox 360. When the original Xbox hit store shelves in 2001, launch day fighting game Dead or Alive 3 was one of the surprise hits that immediately gave gamers a reason to want one. It was only fitting, then, that Dead or Alive 4 should arrive shortly after the launch of the 360 to do precisely the same. 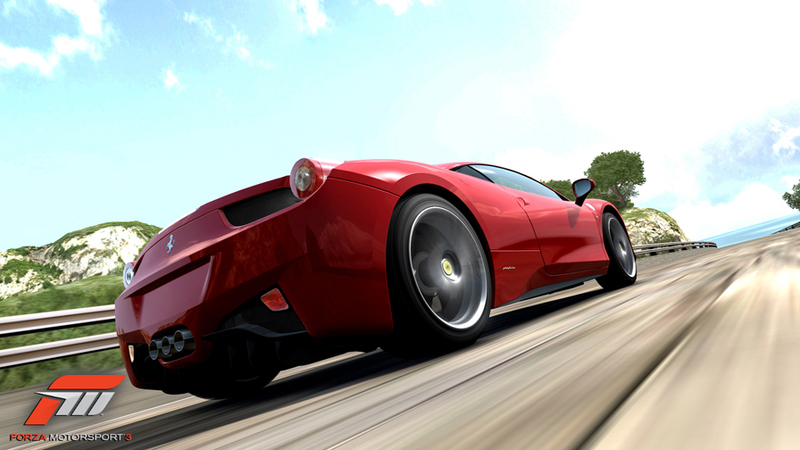 Like Project Gotham Racing 3, DOA 4 utilized the increased graphical capabilities of the 360 to great effect(s). 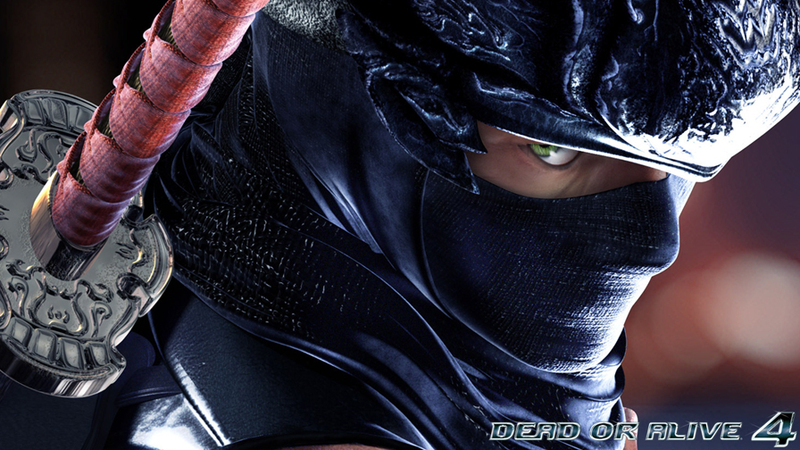 The game also added 3 brand new fighters to the mix, on top of all the returning characters from Dead or Alive 3. Additionally, the game also featured an unlockable fourth new character (in the form of a female Spartan soldier from the Halo universe) which asserted Team Ninja's commitment to Xbox like a super-soldier-armored punch to the face. Between Top Spin on the Xbox and Virtua Tennis 3 on the 360 (in addition to others), the Xbox brand has never been a stranger to great traditional tennis games. But Table Tennis? That was another story. With the exception of the positively ancient Pong there just weren't any worthwhile virtual Ping Pong experiences out there; on Xbox, or anywhere else, for that matter. That is, until Rockstar Games decided to do something about it. And do something they did! Not content to make a simply passable Ping Pong experience, Rockstar Games really took their time and put a lot of care and effort into getting it right. 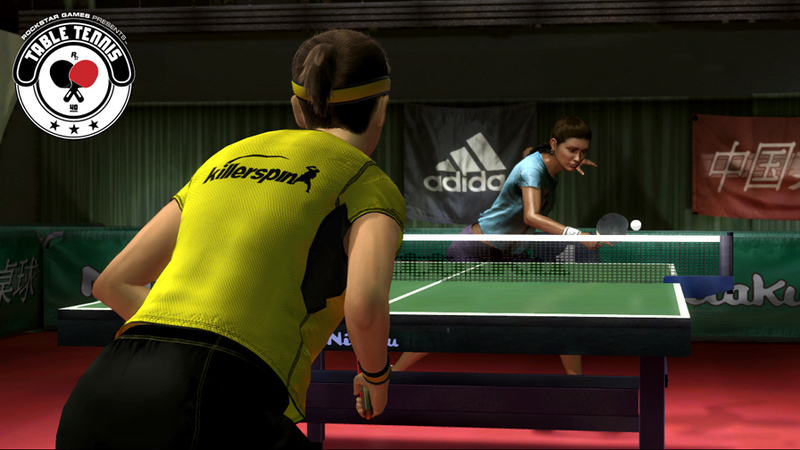 What they ended up with was the finest examples of virtual table tennis that's ever been, as well as one of the best early sports titles to be available on the Xbox 360. 10 years and countless installments into their wildly popular Resident Evil franchise, Capcom was about the last developer you would've expected another incredible new zombie franchise to have come from, yet in August of 2006, that's exactly what happened. Liberally borrowing its inspiration from George A Romero's famous 1978 film, Dawn of the Dead (along with its 2004 remake), Dead Rising tells the story of tenacious photojournalist, Frank "I've covered wars, you know!" West, who winds up trapped in a shopping mall with other survivors during a zombie outbreak. The game was unique at the time for its quirky yet disturbing tone, its incredible variety of weaponry (both conventional, and decidedly unconventional), as well as its ability to display an impressively large number of enemies at once. 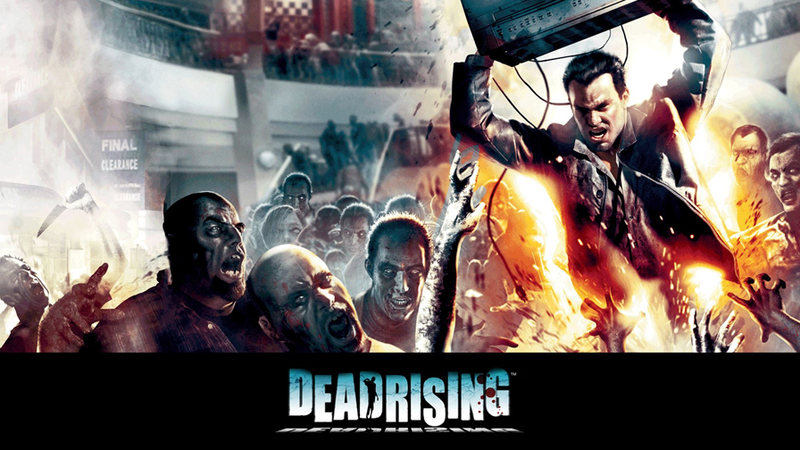 All told, Dead Rising was a major boon for early (zombie-loving) 360 owners. In the video game industry, the term "killer application" gets tossed around quite a bit. For those not in the know, a killer app represents the very best game a particular console has to offer, which makes it the single most important reason why people should own that console. For the original Xbox, that game was Halo (and later, Halo 2), for the Nintendo DS, it was New Super Mario Bros, and for the Xbox 360, it was Gears of War. 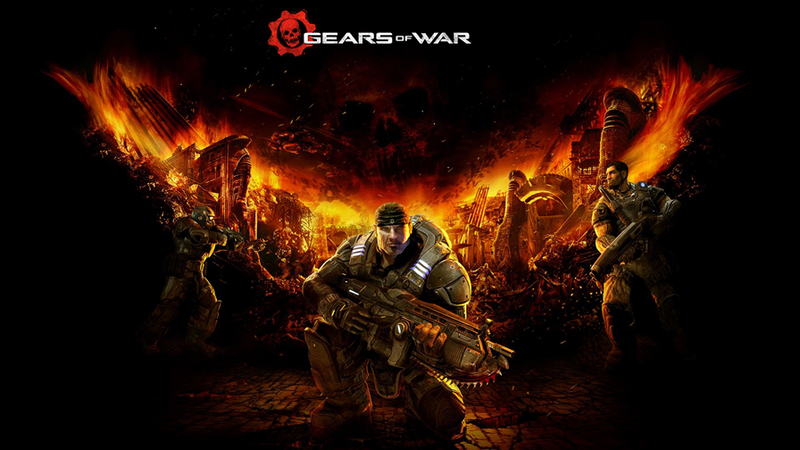 Created by the aptly named Epic Games (makers of the ultra kill-er Unreal Tournament series), Gears of War was the perfect combination of excellent (Resident Evil 4 inspired) 3rd-person action, great cover mechanics, and an incredible (co-op optional) single-player experience. It also boasted one of the best multiplayer games in town. But the thing that probably stands out the most about Gears of War is the epically awesome combination chainsaw/assault rifle. Killer app, indeed. Gears of War may have been the 360's first true killer app, but it wasn't long until Halo 3 came along and replaced it (owing, at least in some small part, to the fact that they eventually made a PC version of the former). But whereas Gears of War was something of a welcome surprise for lucky 360 owners, the highly-anticipated release of Halo 3 was as compelling a reason as any to have picked one up during the first two years of its life. When the game finally did arrive, eager fans were not disappointed. The lengthy campaign offered a very satisfying conclusion to the Master Chief's 3-game fight against the Covenant (while, of course, leaving room for a future sequel). Also, for the first time in the Halo series, the game featured co-op with, not only a second unique character (as opposed to just a duplicate Master Chief), but actually, up to four unique characters, all playable over Xbox Live. Another thing that really set Halo 3 apart, aside from the campaign, was the feature-rich multiplayer mode, including the sandbox editor, Forge, which introduced user-modified multiplayer maps. This feature allowed the game to be played in new and interesting ways and even led to the creation of entirely new multiplayer modes. Griffball, anyone? Following the 2003 success of their original Xbox game, Star Wars: Knights of the Old Republic, BioWare immediately decided to set about working on an original property, very much inspired by KotOR, for the Xbox's successor. 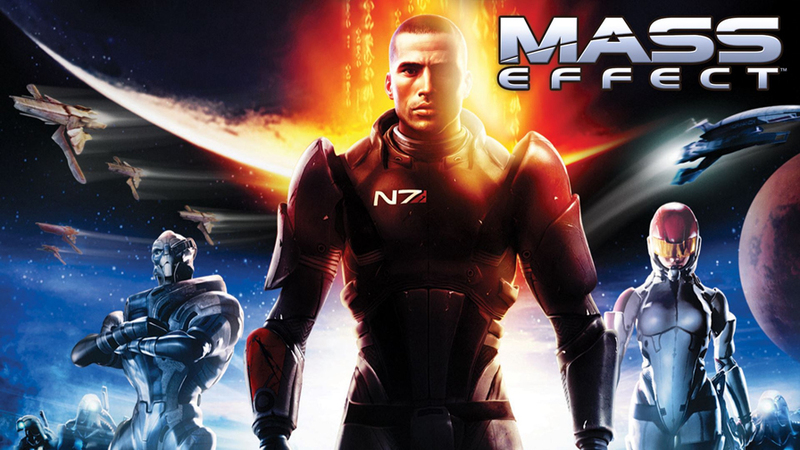 Nearly four years (and one unfortunate EA buyout) later, their new game, Mass Effect, landed on the Xbox 360. Because it was such a big source of inspiration, Mass Effect understandably shares much with its Star Wars predecessor. As the protagonist, you embark on an epic adventure across a galaxy, doing battle against a growing evil, while, along the way, deciding if you want to act as a hero or more of a villain, yourself. You also interact, and even team up, with several different species of aliens, utilize futuristic technology, and even learn force-like abilities. But Mass Effect was not made to merely be a carbonite copy of Knights of the Old Republic. The game also featured a fantastically unique soundtrack, cutting edge graphics (compliments of the 360 platform), and a more visceral third-person-shooter combat style. This all added up to a critical and commercial hit that allowed BioWare and EA to extend the property out into a pretty satisfying trilogy. 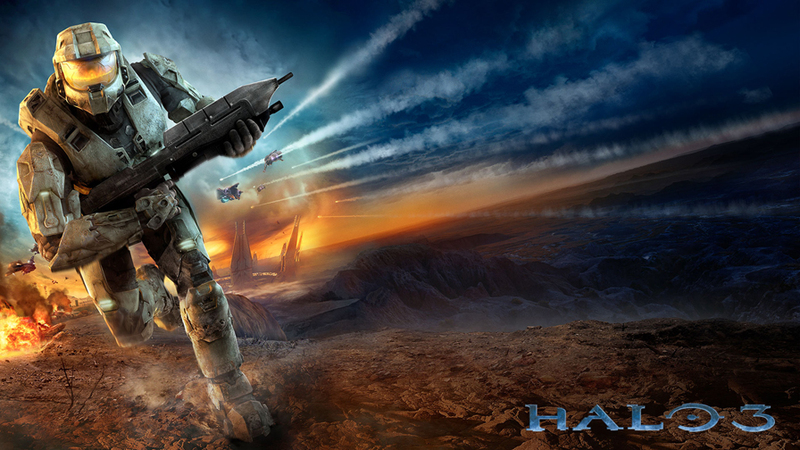 While Halo 3 may have been the raison d'etre of the Xbox 360, it wasn't the only Halo in town - far from it. Halo Wars, on the other hand, was the only Halo of it's kind on the system. Whereas Halo 3, Halo 3: ODST, Halo: Reach, and Halo 4 were all traditional first-person shooters (almost all made by Bungie), Halo Wars was something else entirely. Something special - a strategy game made specifically for consoles. And it wasn't made by just any old developer, either, it was made by the renowned strategy game developer, Ensemble Studios. As a matter of fact, it was the last game made by Ensemble Studios, before their untimely disbandment by Microsoft. That effectively makes Halo Wars their swan song; an honor it lives up to. 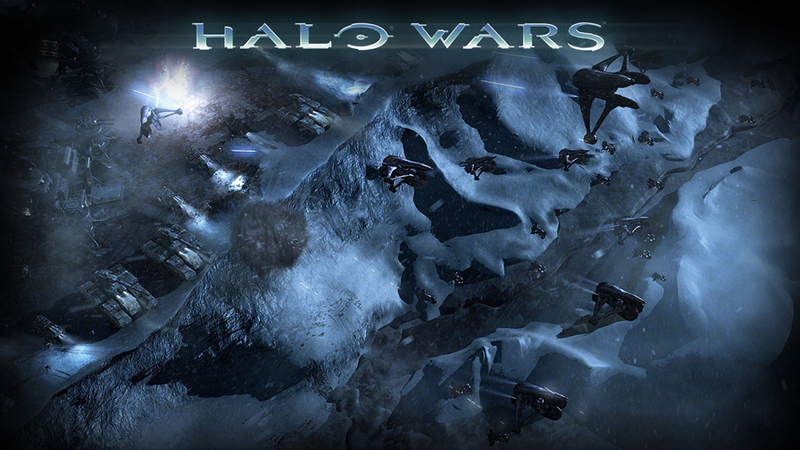 Halo Wars constitutes a compelling, well-crafted, strategic spin on the Halo universe. It's a worthy edition to the franchise, a shining example of a console strategy game done right, and a must-own title for Halo fans, as well as 360 owners in general. With all the fantastic retail games that were available on the Xbox 360, it can be easy to forget about the digital ones. While few of the so-called Xbox Live Arcade games may have ever existed in an actual arcade, many of them were, in fact, quite good. In the early years, much of the content did consist of rereleases of great games that had been popularized in the arcade, and various other places, while the rest of those titles were all small-scale original productions of varying quality. It wasn't until a few years later that the more outstanding, bigger-budgeted efforts began to show up. 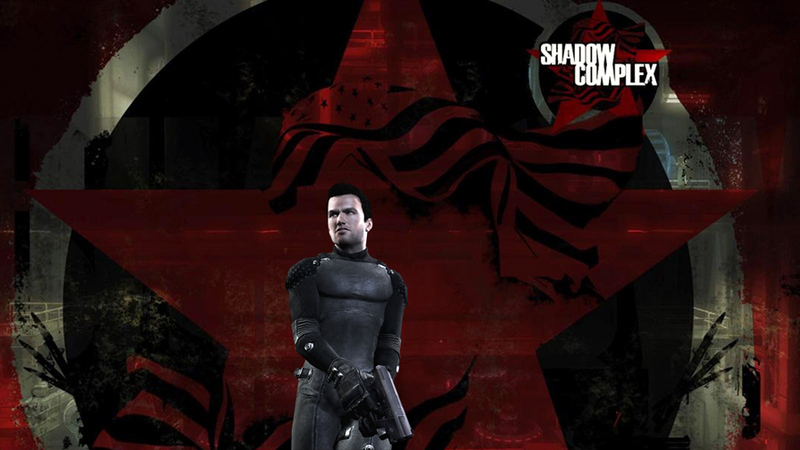 One of the best of these higher quality titles was the 2009 "metroidvania" platform-adventure game, Shadow Complex. The game follows the adventures of a man forced to infiltrate a secret underground complex to rescue his captured girlfriend, after they had unwittingly stumbled upon it while on an innocent spelunking excursion. 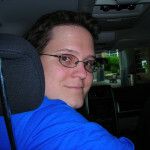 Largely inspired by the popular classic, Super Metroid in particular, Shadow Complex was also notable for being scripted by an award-winning comic book writer. The game was a hit on release and actually broke all the sales records for XBLA titles at the time. As mentioned earlier in this article, there was a time when Project Gotham Racing ruled the virtual roads on Xbox. Indeed, the aforementioned PGR 3 was even able to outshine the Forza series first showing on the 360; and that game, Forza Motorsport 2, didn't even come out until a year and a half later. It actually wasn't until the following installment, Forza Motorsport 3, that Forza developer Turn 10 was finally able to surpass the Project Gotham Racing series (although by that point, it had, unfortunately, already been discontinued). 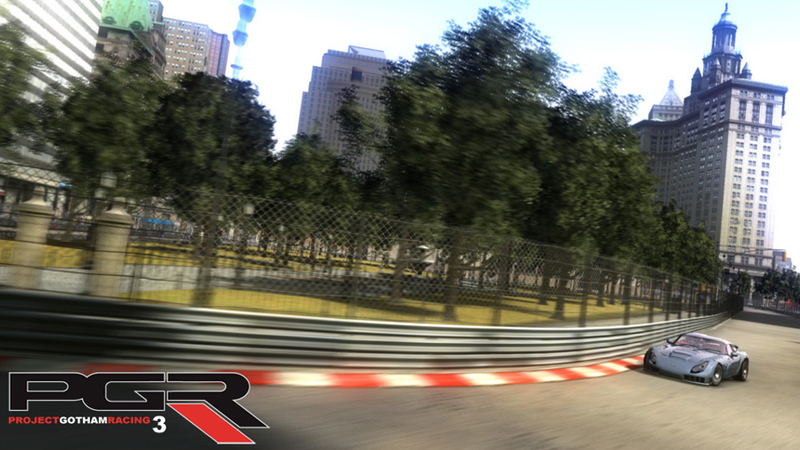 Yes, Turn 10 definitely got it right with Forza 3. Not only was it the best looking Forza game to date, but it also included several fantastic new tracks, hundreds of the hottest cars imaginable, and several key features that allowed it to stand apart. By taking a cue from PGR and finally offering a much-needed cockpit view (that they had bizarrely decided to leave out of Forza 2), as well as including the popular rewind feature (and Le Mans race track) from the equally impressive (Race Driver) Grid, Turn 10 was able to make Forza Motorsport 3 into the finest racing game around. Here's an example of an Xbox Live Arcade game that was both high-budget, and an arcade game. Well, an arcade sequel, anyway. 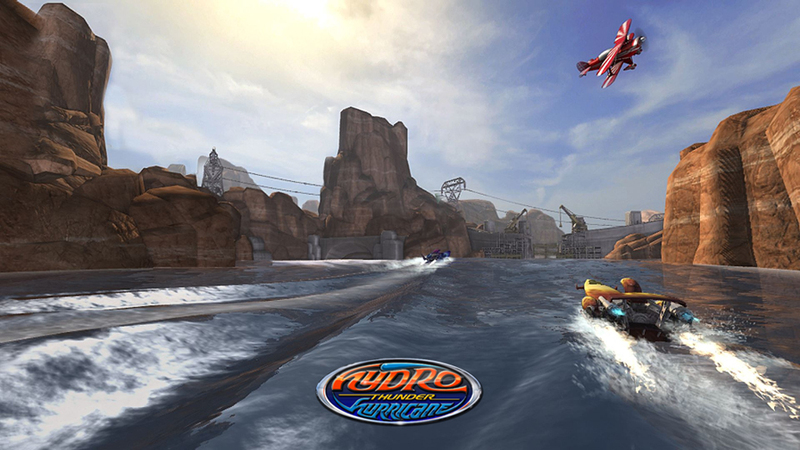 Hydro Thunder Hurricane actually started life as an idea for an original IP by indie start-up Vector Unit. Once Microsoft heard about it, they promptly picked it up, acquired the rights to the former Midway-owned arcade classic, Hydro Thunder, and then set Vector Unit about turning their game into a full-fledged sequel. The developer clearly did their homework too, because the results of their collaboration with Microsoft was a picture-perfect sequel that looks, plays, and even sounds exactly as you would want it to. The addition of both local 4-player split-screen, as well as 8-person online multiplayer modes makes this one of the best boat racing games available anywhere. Of all the studios that released games onto the Xbox Live Arcade, perhaps none were more consistently successful than the indie developer, The Behemoth. Their first game, the popular run 'n gun shooter, Alien Hominid, was brought over to XBLA back in 2007. The following year, they came out with a brand new game called Castle Crashers. That was such a great game that it was actually one of the biggest hits available on Xbox Live Arcade at the time (and it also very nearly made this list). It took the Behemoth another five years before they finally finished their next game. Thankfully, it was well worth the wait. 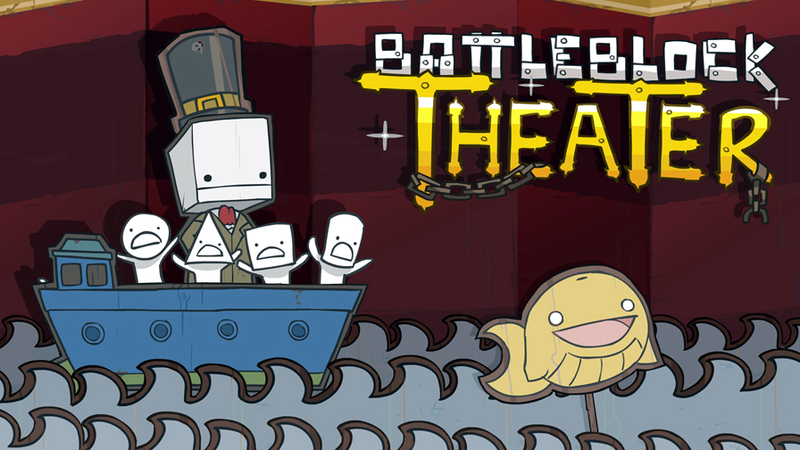 2013's BattleBlock Theater was a hilariously-narrated, somewhat-horrifying puzzle-platformer about a character named Hatty Hattington and his friends who are shipwrecked during a storm. After washing ashore, Hatty becomes possessed by an evil hat, while his friends get captured by villainous cats who force them to navigate dozens of deadly stages for their amusement. With plenty to offer, including single-player and co-op (in addition to several versus modes), and even a level editor, BattleBlock Theater is about as off the wall brilliant as they come. It also came out the same year that the Xbox 360's successor, the Xbox One launched, which made it one of the last great games to come out on the 360 (XBLA or otherwise). 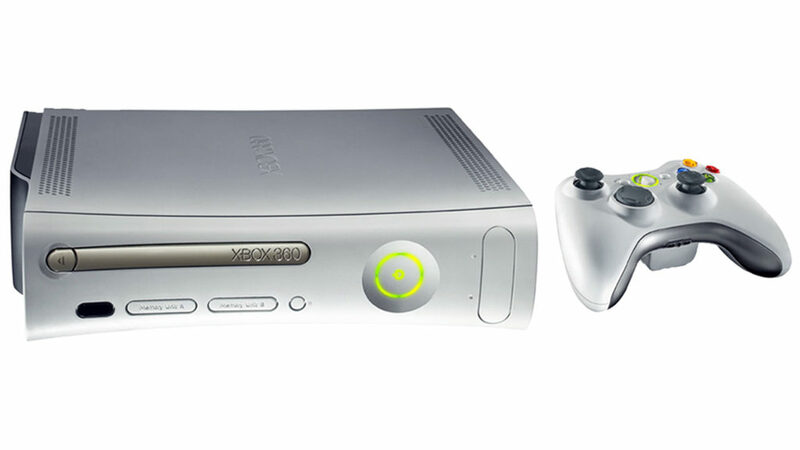 Even though it got off to a pretty rocky start, the Xbox 360 was able to overcome its early obstacles and went on to become one of the most popular video game consoles of all time. The year-long head-start on the competition was a big reason for this, but there were others as well. For starters, Microsoft wasn't thinking ahead of Sony and Nintendo merely with regards to the launch. They also managed to get popular applications like Netflix on their system a full year before the other players. In addition, by keeping the architecture and controls simple when they designed the 360, Microsoft managed to ensure that their console was an absolute dream to develop for. Meanwhile, Sony and Nintendo made mistakes in both of those areas, respectively. Additionally, Sony's offer launched with a prohibitively expensive price tag, while Nintendo decided to completely ignore its core, 20-years-faithful fanbase in favor of the often fickle, if not totally indifferent, general public. And as we covered already, the 360 had some pretty great exclusives to boot. What all of these factors led to was a great number of people owning 360s. 360s that were home to what was oftentimes the best version (despite the PS3's more-powerful though more-complicated hardware) of some of the best games around. Unfortunately, for the 2013 debut of their follow-up console, the Xbox One, Microsoft essentially took the entire 8 years of good will that they had built up with the 360 and threw it directly into a flaming dumpster. They have since corrected course and made efforts to repair their reputation but the damage had already been done. But that is a discussion for another article (perhaps in about 8 years time). The Xbox 360 will always be remembered as one of Microsoft's crowning achievements and nobody can ever take that away from them. Only a matter of time until you can play Skyrim inside the WRUP?